« Are you a Superager? I am not happy about the Insult of the Year. Not because it was hurled at me – I’m too old for it. This insult is targeted at the young. Their elders call them the “Snowflake Generation”. This dictionary’s Top Ten Words of the Year include Snowflake Generation. Which is actually a phrase, not a word – but making that distinction is the least of my concerns about this intergenerational jibe. The UK Guardian called it the “defining” and “most combustible” insult of 2016. 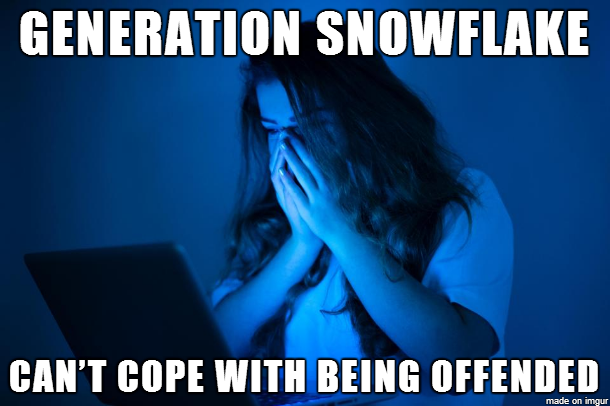 Wikipedia described the so-called Snowflake Generation as “too emotionally vulnerable to cope with views that challenge their own”. The metaphor is about melting: that’s what happens to Snowflakes when they are challenged. The mainly older people who use this insult say Snowflakes too readily cry “victim” when attacked. Their demands for “safe spaces” and “trigger warnings” are disparaged. Most of the Top Ten Words lists included words born of last year’s cataclysmic political events in the US and the UK: Trumpism, Post-truth and Brexit. The election of America’s new president and Britain’s exit from the European Union were decided disproprortionately by older voters. The same ones gleefully hurling this new insult – at those who take offence at, and protest, the rhetoric of the supporters of Trump and Brexit. The Snowflake slur sounds like more Baby Boomer bragging about how much better things were back in the good ol’ days. This insult also shows a callous lack of concern for the kinds of pressures that young people face in the current uncertain economic climate. They are faced with unemployment and student debt at levels unheard of when we were young job-seekers. All over the world the so-called Snowflake Generation is campaigning against discrimination based on gender, race, religion, sexuality and disability. The Snowflake Generation insult seems to link to some older people’s resentment of “political correctness”. Especially with regard to women, black people, Muslims, LGBTQi, etc. This insult is slyly effective. If insultees respond by taking offence, it is seen as proof that they are thin-skinned. Yet we are sensitive to insults based on ageism when directed at us. Isn’t the Snowflake Generation insult a form of ageist abuse, since it is based on assumptions and stereotypes about a specific age group? 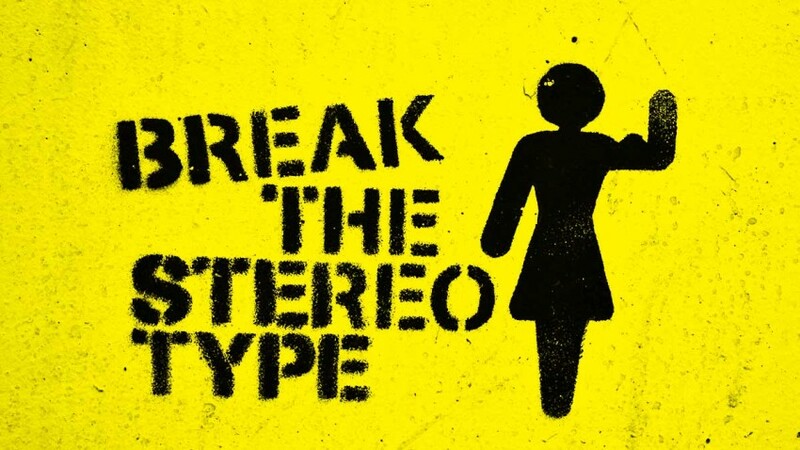 You could call it Reverse Agism, in contrast to the usual case of young stereotyping old. Many young people reject the Snowflake insult as a generational generalisation that is unproven and inaccurate. This complaint is supported by a recent study in Harvard Business Review disproving many common age-based assumptions about young and old. Due to longer working lives and technological developments, the researchers concluded that work activities are becoming what they labelled “age agnostic”, making agist stereotypes outdated. Not only is the Snowflake concept flawed. 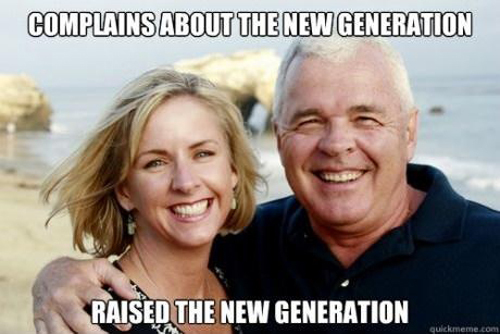 How did the generation gap escalate into such a war of words? Surely it would be more useful for us to try and understand the youth than to mock them. Their sensitivity to offensive comments looks likely to only further increase with the increasing polarisation of societies throughout the world, in response to those Words of the Year, Trumpism and Brexit. It is worth noting the gender aspect of alleged Snowflakiness. Those who endorse the insult believe it’s more common among females than males. A major exponent of the Snowflake Generation insult is the British libertarian, Claire Fox, author of I Find That Offensive! She told the Sun that taking offence – and speaking up about it – “illustrates this (younger) generation’s almost belligerent sense of entitlement”.